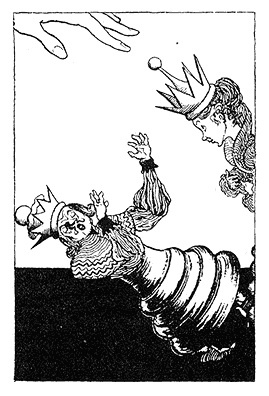 Alicia in Blunderland by Peter Schuyler Miller. Introduction by Lloyd Arthur Eshbach. 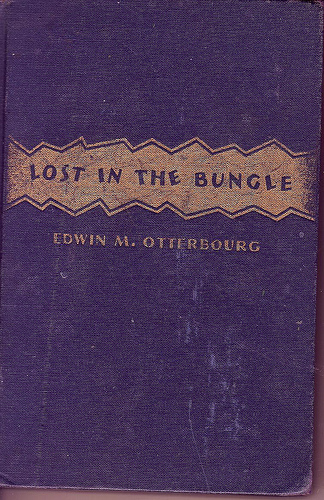 Small hardback with dustjacket, Published by Oswald Train, 1983. First edition. Number 112 of 500. Dust jacket art by Stephen E. Fabian. P. Schuyler Miller (1912-1974) was an American critic and science fiction writer. In 1933 he wrote Alicia in Blunderland: publishing it serially in Science Fiction Digest magazine under the byline ‘Nihil”. This book brings the episodes together in a limited format along with an introduction by Lloyd Arthur Eshbach (1910-2003), another American SciFi writer. Alicia meets characters and writers of science fiction of the period. 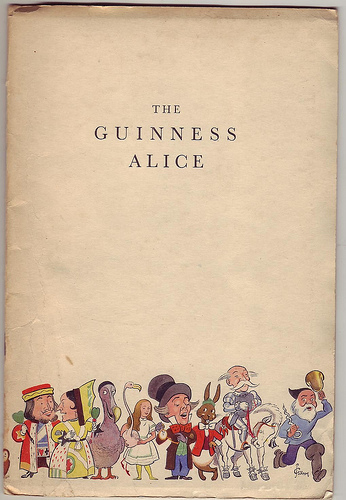 The Guinness Alice by Ronald Barton and Robert Bevan. Pamphlet published by Guinness in 1933, and printed in Great Britain by John Waddington Ltd. I have the second edition with full colour illustrations: the first edition had both colour and line drawings. This series of pamphlets are called “Doctor’s Books” as they were sent to GPs’ surgeries to encourage the drinking of Guinness for medical purposes: very good for nursing mothers for example! 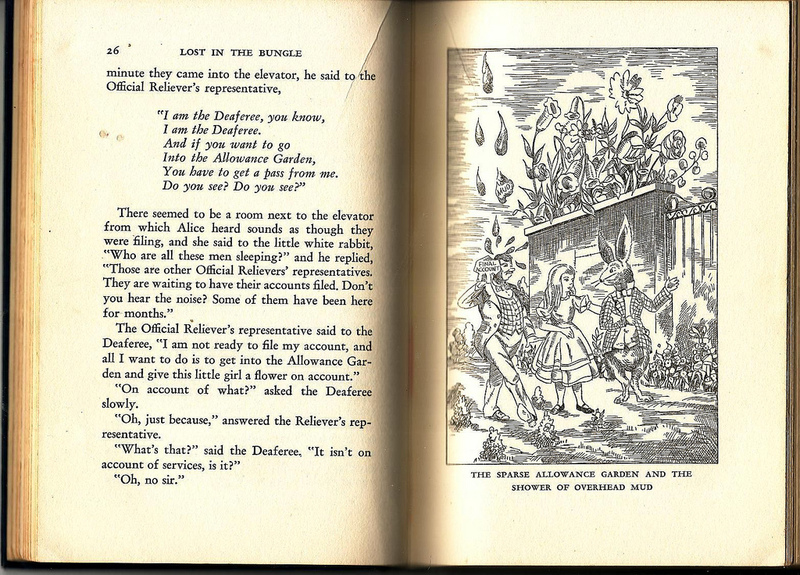 This is graphically the simplest of the Guiness Alices, with spoof versions of several poems and scenes from the books. 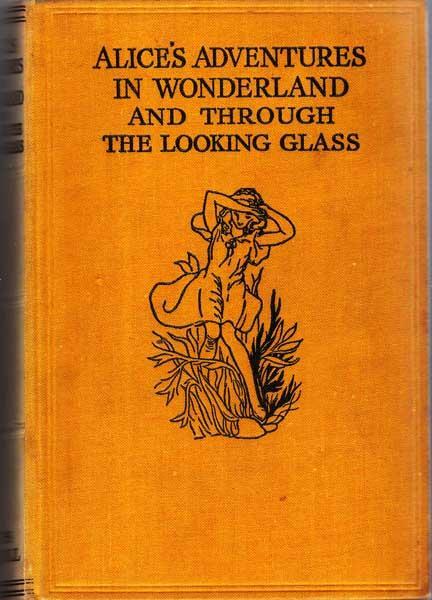 Alice’s Adventures in Wonderland and Through the Looking Glass illustrated by J. Morton Sale. Published by William Clowes and Sons, London 1933?- undated copy. 8vo. Yellow clothbound with decorative front board. Colour frontispiece and line drawings throughout. John Morton Sale was an artist and illustrator, and with his wife, Isobel, co-founded the Parnassus Gallery, well-known in their time for high-quality reproductions of works of art. From what I can find on-line, he was mainly known for illustrating the dust jackets of detective novels. Any more information gratefully received.